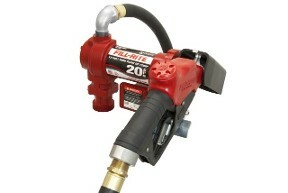 Fill-Rite® is the global leader in fuel transfer pumps, meters and accessories. For over 50 years the world has turned to Fill-Rite for industry leading fuel transfer pumps that deliver superior performance and rugged dependability. We take great pride in our “Made in USA” heritage, and our state-of-the-art Fort Wayne, Indiana manufacturing facility. Whether you need a stationary or mobile fuel transfer pump, we have a solution for you. We provide the professional grade equipment that is the industry standard, and you will find our signature red Fill-Rite fuel transfer pumps on more farms, construction sites, mines, and fleet service facilities than any other brand. Why? 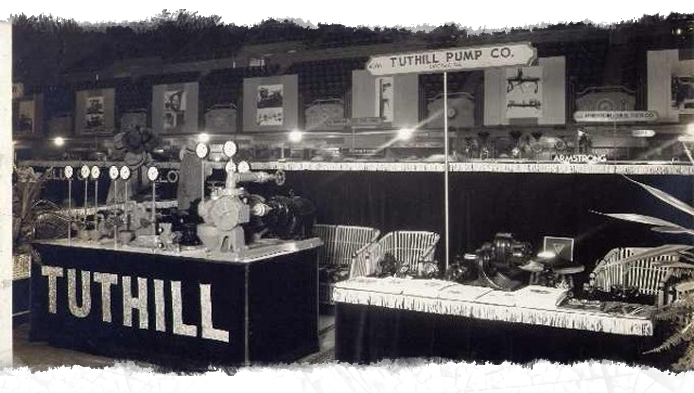 Because generations of hard working professionals trust us, and know their Fill-Rite fuel transfer pump is as rugged and dependable as they are. Our versatile line of DC fuel transfer pumps are available with flows ranging from 13 GPM, to the industry best flow of 25 GPM. UL listed motors assure safety and dependability, and we have models compatible with Diesel, gasoline, kerosene, E15 and bio-diesel. Our heavy duty pumps are backed by a 2-year warranty. Legendary Fill-Rite quality continues with cast iron pump housings for heavy duty applications, and continues inside with rotors and vanes made from iron and bronze, assuring robust performance over the life of the product. 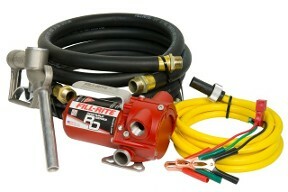 Match your fuel transfer pump with genuine Fill-Rite accessories like hoses, nozzles, and meters for the very best performance. 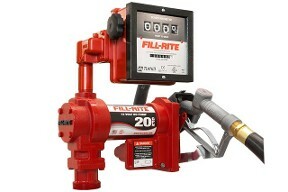 Thank you for choosing Fill-Rite for your fuel transfer applications. We are sure you will agree there is no better choice in the industry because, “The Gold Standard for Fuel Transfer is Red”.